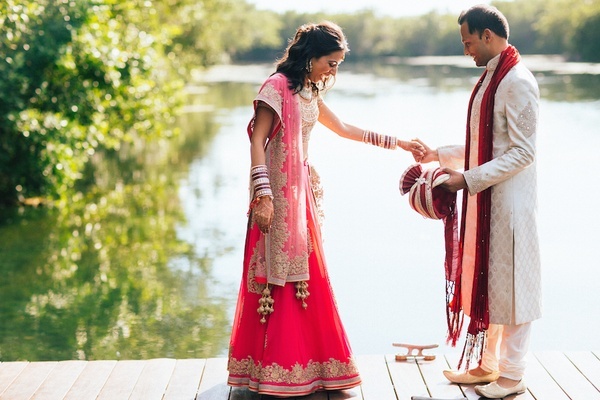 When it came to finding a location for their destination wedding, Maneesha Mukhi and Abi Prakash set their sights on the Caribbean. 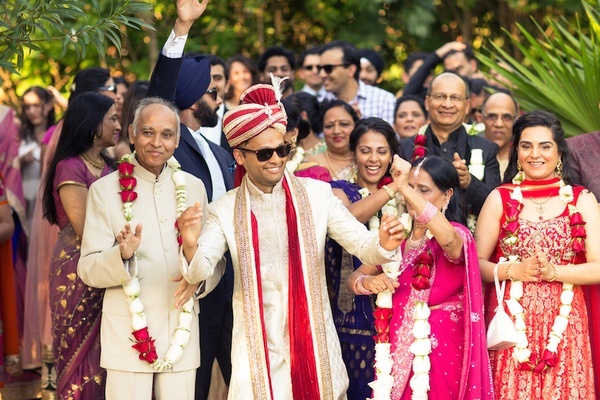 “We wanted an island that had direct flights from New York and hotels that would allow us to bring an Indian caterer,” the bride explains. 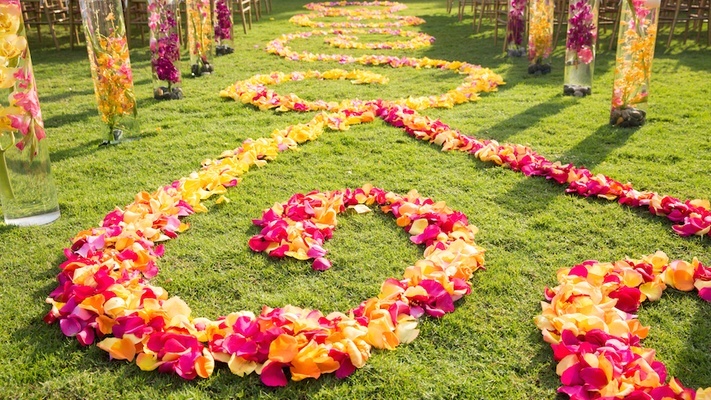 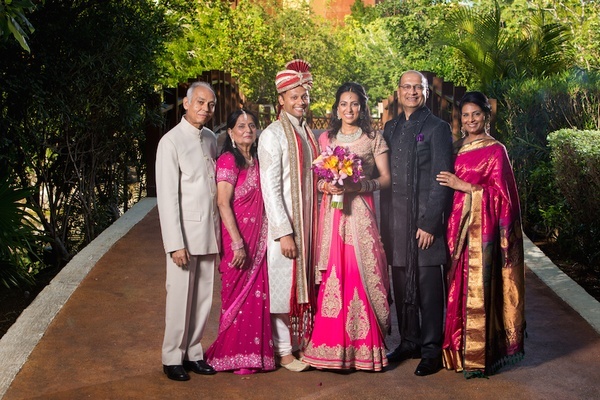 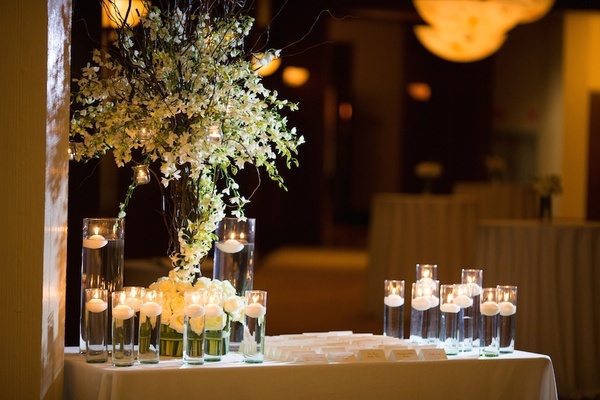 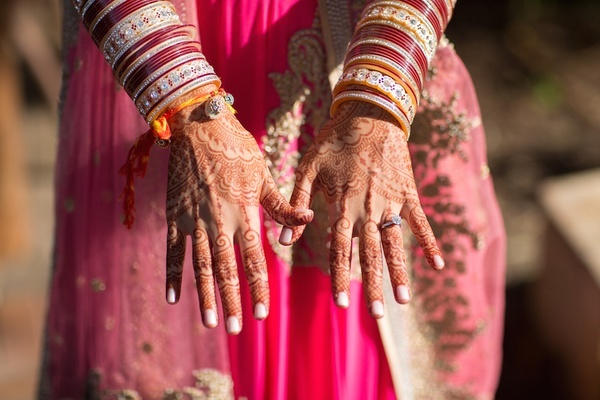 The location also had to accommodate elements of a traditional Indian wedding. 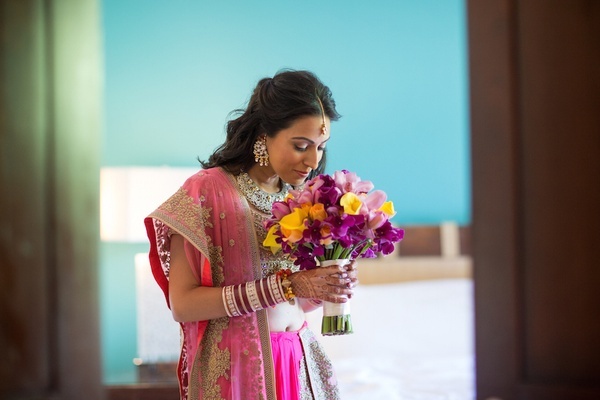 On their search, the couple found a tropical luxury resort that met their expectations set along the aquamarine Caribbean shoreline in Playa del Carmen, Mexico. 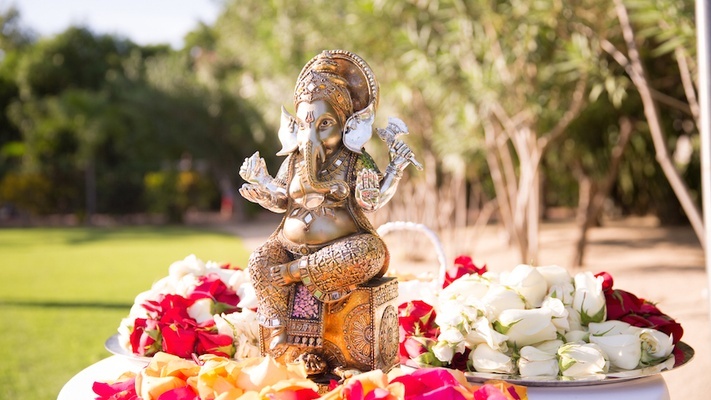 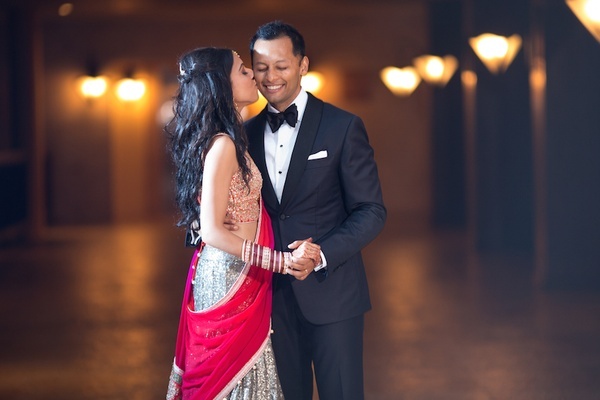 Since the bride and groom’s respective parents live outside of the United States, Maneesha and Abi relied heavily on their planner for guidance through the planning process. 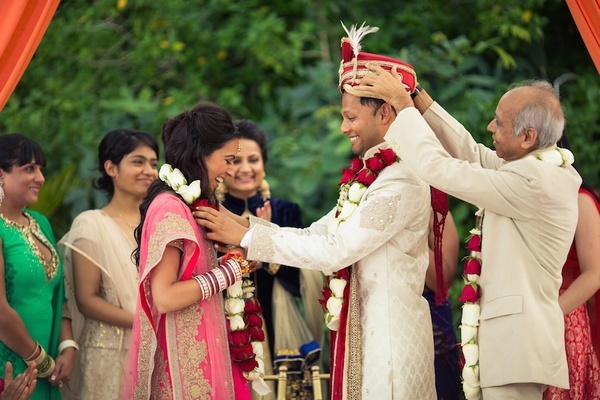 Nevertheless, the bride’s future in-laws helped them find an Indian priest for the ceremony. 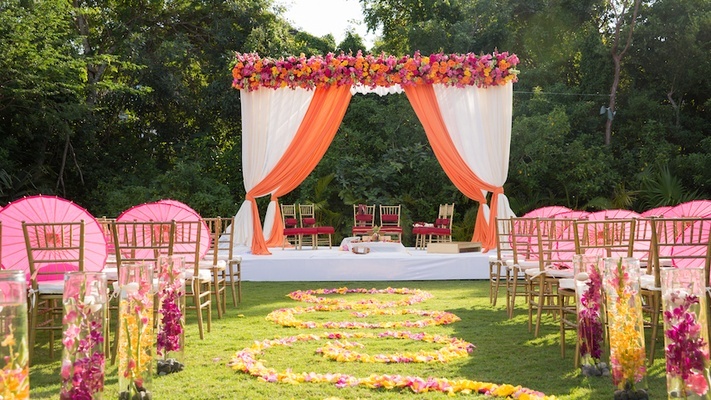 As fate would have it, he was also the same officiant who presided at the nuptials of the couple's wedding coordinator. 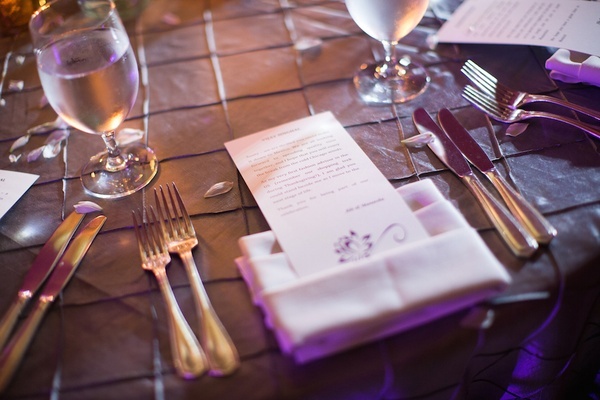 In addition, Abi’s father recommended the chef of a Michelin-starred restaurant in New York City to cater the event. 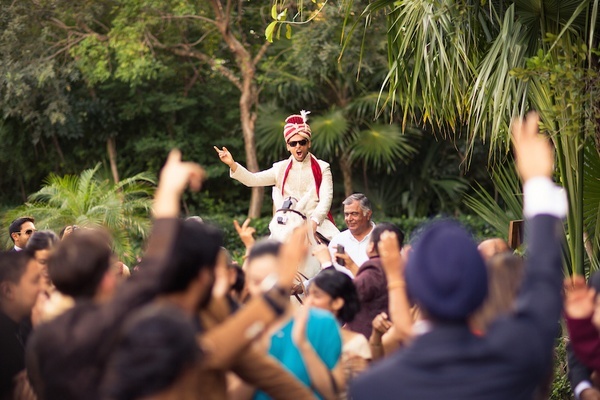 On a sunny afternoon, the groom arrived at the vow exchange on horseback in the company of his lively procession. 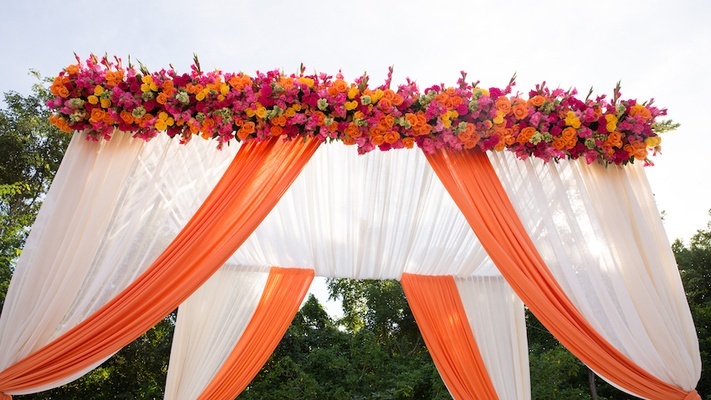 Maneesha and Abi were united as husband and wife beneath an ivory canopy that was accented with papaya-hued swaths of fabric and topped with a colorful array of magenta, crimson, golden, and amber roses. 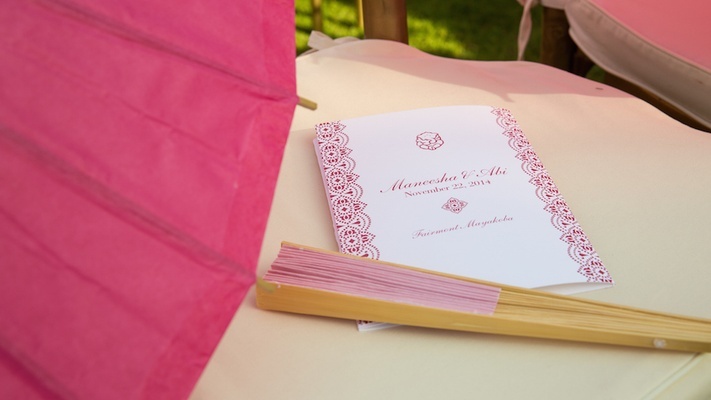 Hot pink parasols and fans were placed on gilded chairs for the comfort of guests. 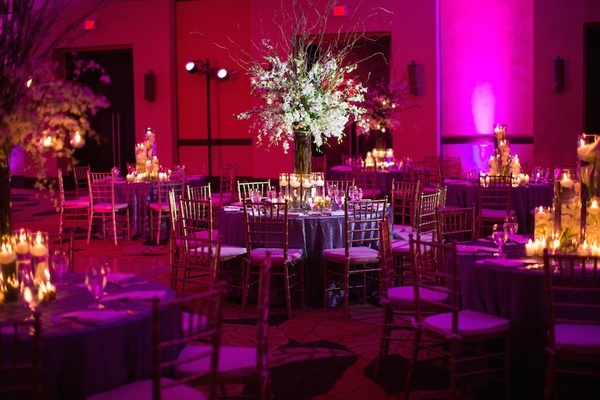 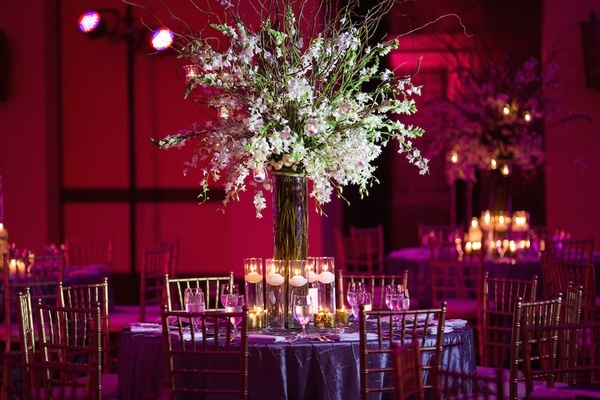 Following the service, the festivities moved indoors to a space infused with fuchsia lighting for the reception. 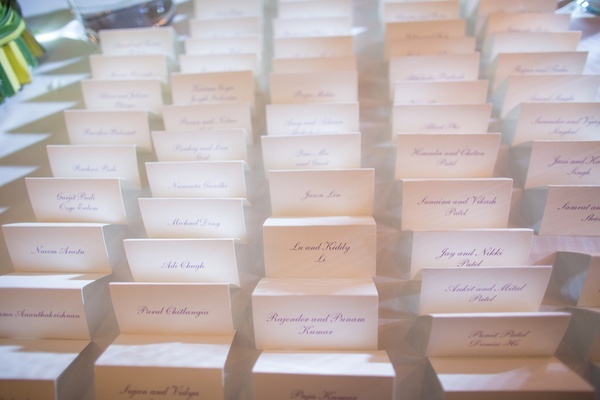 To express their appreciation, the bride and groom composed a personalized message for each of their 113 loved ones in attendance and had them tucked into the pearl napkins of place settings. 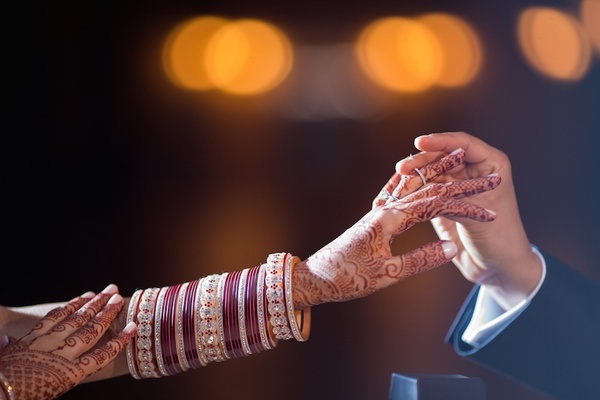 As fans of Game of Thrones, the pair thought it would also be fun to gift t-shirts printed with “House of Muhki” to Maneesha’s friends and “House of Prakash” to Abi’s friends. 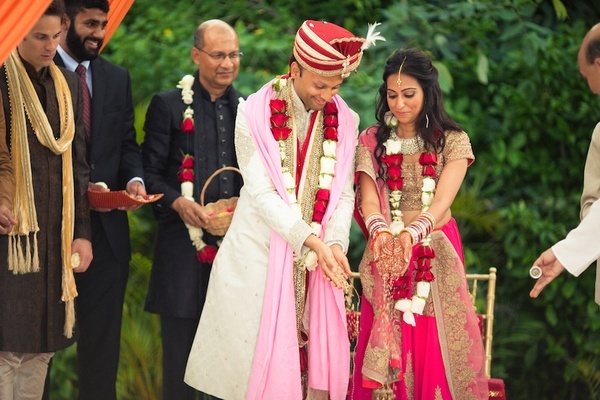 Maneesha and Abi’s love was truly inspirational and felt by every guest in attendance. 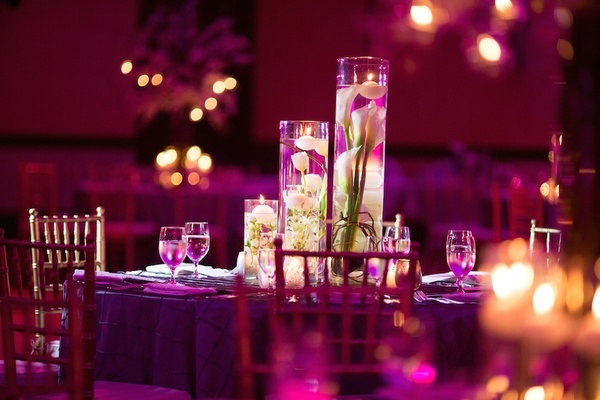 So much so that a few days after the wedding, the boyfriend of Abi’s sister proposed, and the entire family was on hand to toast yet another joyful occasion with Champagne by the resort's pool.